$15/hour – $30/hour based on experience level plus commissions. We do not offer health insurance. Hours are not guaranteed. In certain cities, where Major Organizers is not established, it could take up to three years to build your career. Part-time (15-20 hours/week) and full-time (30-40 hours/week ) positions available. Some of our clients are professionals that work Monday-Friday which means you may have to work some evenings or weekends. You create and manage your own schedule. This career is perfect for people who do not have the pressure of being the breadwinner, but do need to bring in income to increase the quality of life for their families. You can switch between part-time and full-time as needed. We have designed three career tracks to allow you to weave your career in to your life without sacrificing your family or personal goals. We are not a maid service and we do not work with Level 4 and 5 Hoarders (see Hoarding Scale as published by the Institute for Challenging Disorganization). 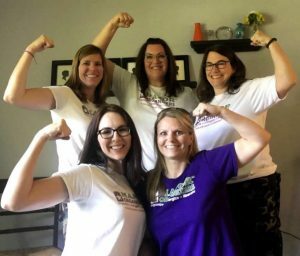 After completing the Major Mom Academy, you will evaluate a client’s current organizing challenge and develop a plan that honors the clients’ vision, timeline, budget and personality. You will be able to organize any room or space in a residential home, including home offices. You will treat each client as an individual with unique needs, values and goals. You will be a traditional employee that also performs various marketing and networking activities. These marketing activities will help generate qualified leads for you and your team. You will perform sales activities, such as, having new clients sign our service agreement and collecting payment. We require that our organizers have earned an Associate’s Degree or a Certification of any type in any field of study. We desire a BA or BS in any field. Internships are available for high school students or those who earned the equivalent of a high school diploma. Many organizing jobs will be performed in a professional team environment with normal noise levels and interesting distractions. You will also “fly solo” and organize one-on-one with the client and their family. Some jobs go according to plan and some require you to be flexible, adapt and overcome to achieve results for the client. If you have questions about beginning a career with Major Mom, please feel free to call 866-693-6996 x2 or click here to contact our Human Resources Coordinator. However, if you are ready to apply, click the “Apply Now” button below.